After three successful days, BrauBeviale is closing its doors on a record high note. Over 40,000 trade visitors (2016: 37,923) – over 18,000 of them international – travelled to Nuremberg to attend this year’s most important capital goods exhibition for the beverage industry from 13 to 15 November 2018. 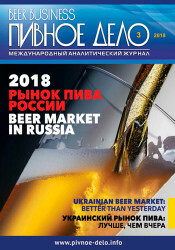 While there, 1,094 exhibitors – 53 percent of them international – presented their products and solutions related to the entire beverage production process chain, with offerings ranging from raw materials to technologies and components all the way to packaging, as well as accessories and marketing ideas. A varied supporting programme rounded out the three days. 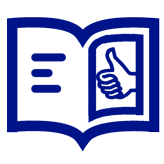 Those statements confirm the results of a survey by an independent institute: some 90 percent of visitors are involved in their companies’ investment decisions. The trade visitors came from many different parts of the beverage industry: breweries; malthouses; the areas of mineral springs, soft drinks, juice, and wine; and mechanical engineering and plant construction, as well as the trade and catering. Attendees travelled in from Germany and other countries, primarily Italy, the Czech Republic, Switzerland, Austria, the UK, Russia, Belgium, the Netherlands, and France. 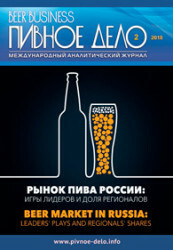 Some 98 percent of the surveyed trade visitors were satisfied with what they found at the exhibition. And 95 percent said they would also like to return to BrauBeviale next year. The kick-off the day before the exhibition was also very successful, with lively discussions and exchanges at all three symposiums – the Export Forum German Beverages, the European MicroBrew Symposium of VLB, Versuchs- und Lehranstalt für Brauerei in Berlin, and the Heirloom & Terroir Barley and Malt Symposium by RMI Analytics. Trade visitors gave high marks to the Craft Drinks Area with its eight different tasting bars and the BrauBeviale Forum with its numerous talks on a wide range of topics. The keynote speech by the food trend researcher Hanni Rützler, who had promised a discourse about “Shaping the Future” – which fit in well with the focus of BrauBeviale 2018, the future viability of the beverage industry – attracted a great deal of attention during the opening. Another major draw was the finals of the German beer sommelier championship, where the presentation by Dr Markus Fohr on Duvel beer of Belgium was lauded by the jury of experts. The [email protected] theme pavilion was a great success right off the bat, drawing interested, ambitious home brewers and hobby brewers, who gained inspiration and collected information while watching demonstration brewing, talking to many contacts at the pavilion, and listening to power presentations at the speakers’ corner. Before BrauBeviale, an international jury made up of 144 experts had already chosen the winners of the European Beer Star 2018 from among 2,344 beers submitted in 65 categories. 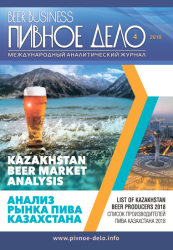 A total of 51 countries from every continent participated in this year’s edition of the most important international beer competition. 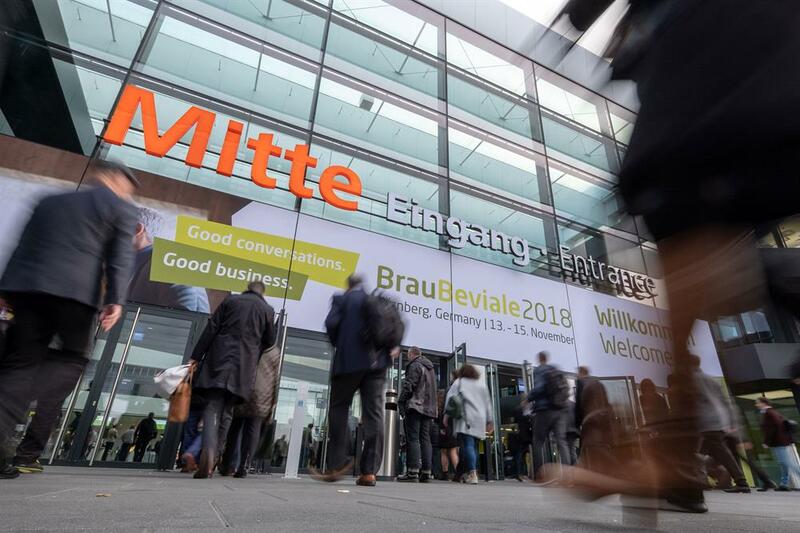 On the first day of BrauBeviale, several thousand trade visitors then chose their favourite beer from among the gold medal winners to determine the Consumers’ Favourite 2018. The gold medal went to “La Pallata” by Birrificio Porta Bruciata (Italy), and the silver was awarded to Dachsbräu Weilheim (Germany) for its “Weilheimer Festbier”. Coming up in third place was “San Lorenzo” by MC77 Birrificio Artigianale (Italy). Save the dates! Don’t forget to note them down in your calendar. See you then.